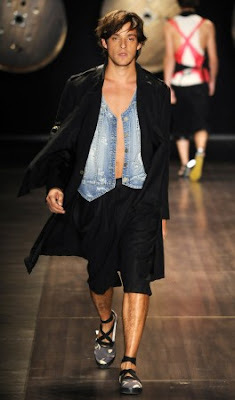 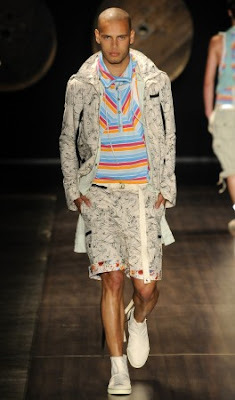 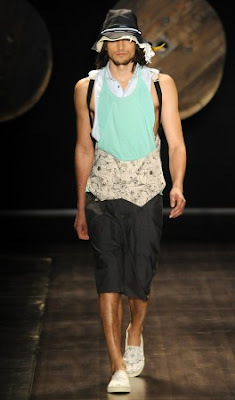 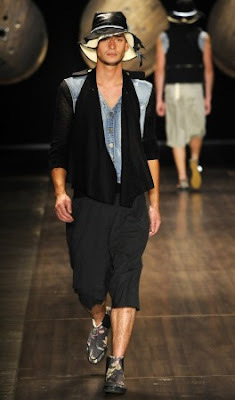 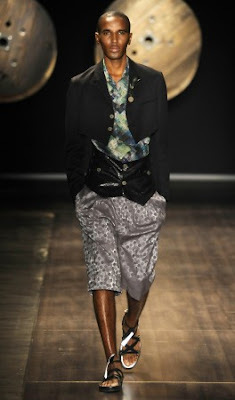 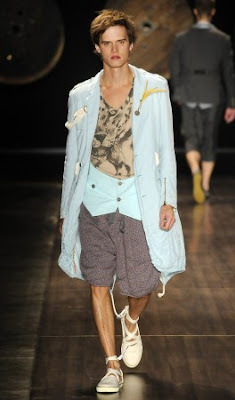 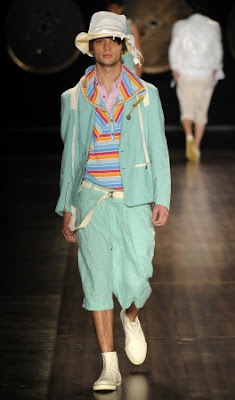 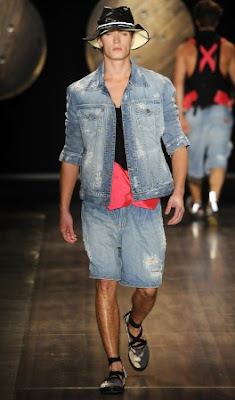 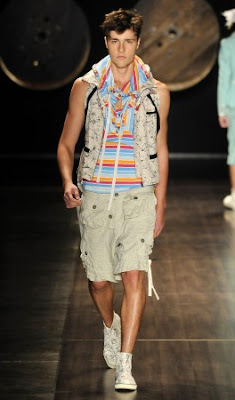 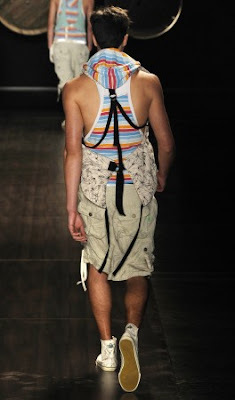 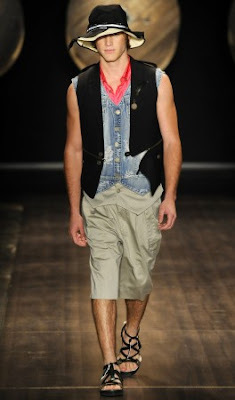 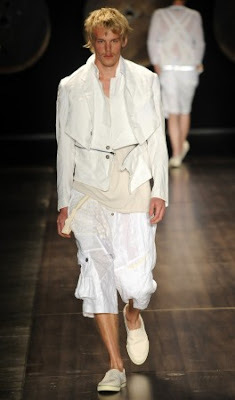 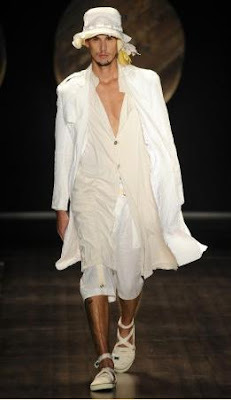 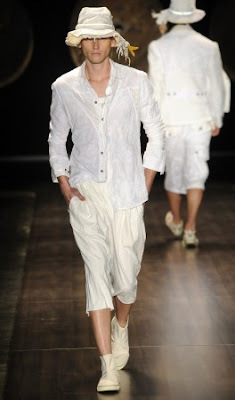 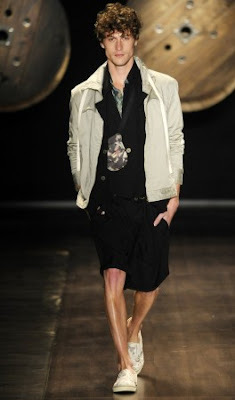 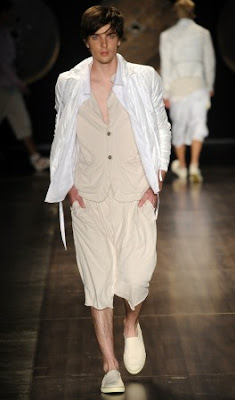 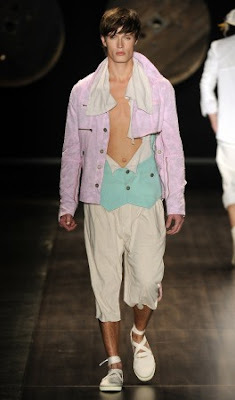 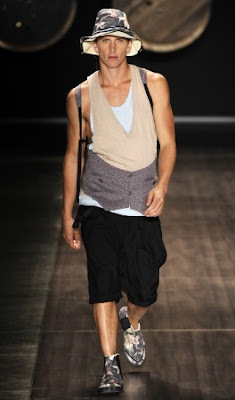 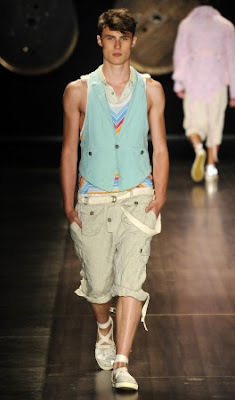 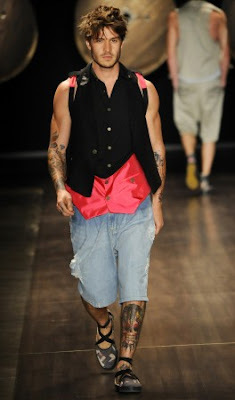 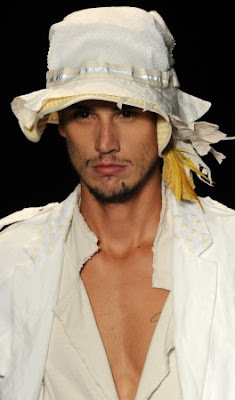 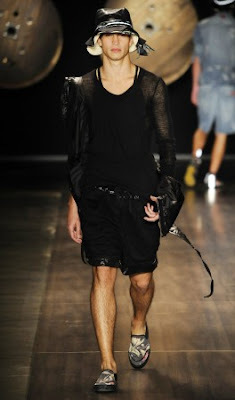 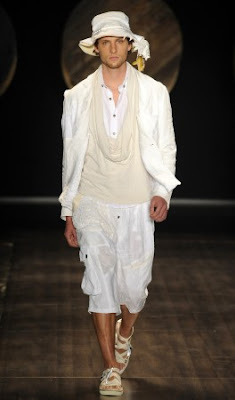 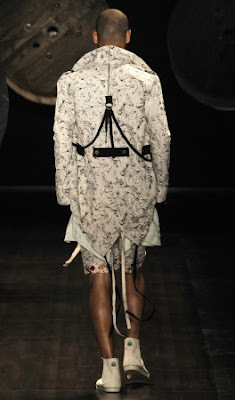 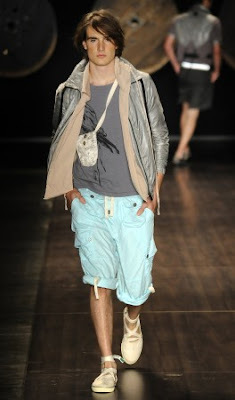 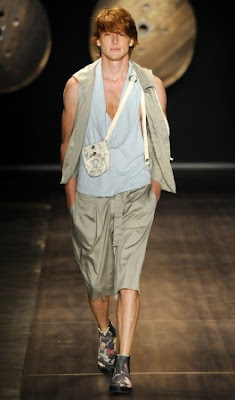 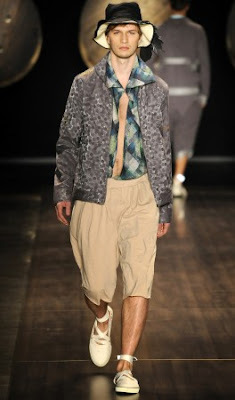 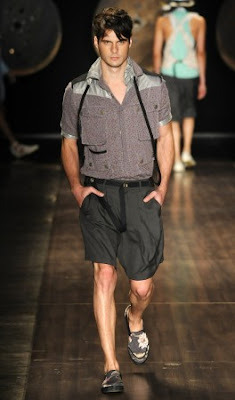 Here is the spring/summer 2010 V.ROM’s collection, a label founded Rogério Hideki and Vitor during the time the electronic music scene burst out in São Paulo making the city’s fashion as technology experimental as well. 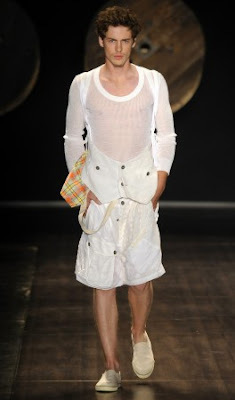 For this season V.Rom continued their futuristic esthetic sense. 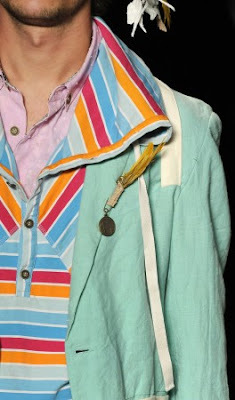 There’s a lot of great layering. 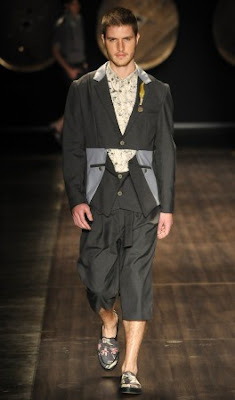 V.ROM twisting of traditional tailoring technique of the classics gave each outfit a unique look. 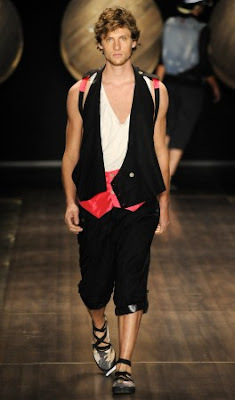 The palettes are mostly neutral with splash of vibrant colours for accent. 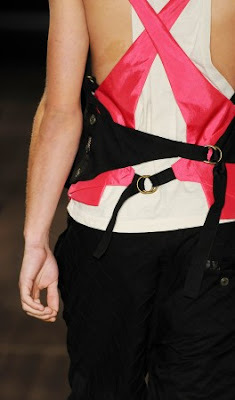 What I love about the collection is that is has a unique look but still in the parameter of being wearable. 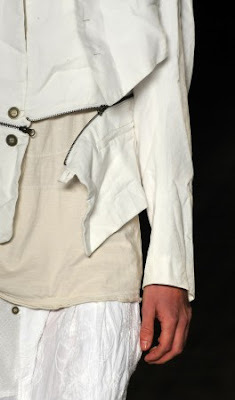 The silhouettes are comfortably cut. 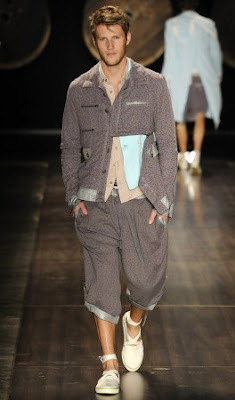 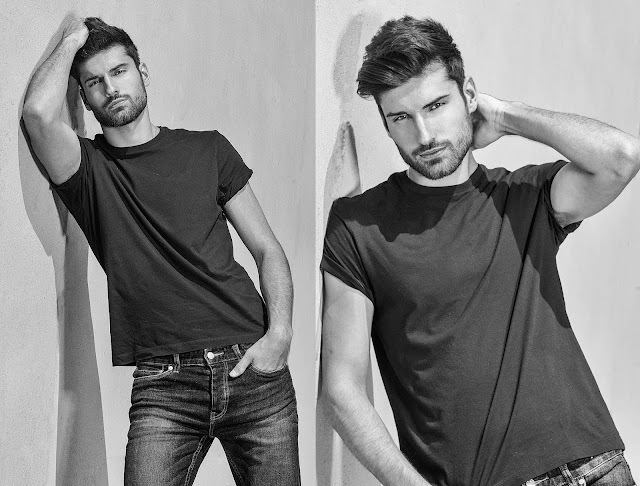 It’s a modern collection without trying too hard.